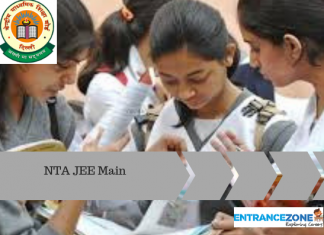 NMAT UG ENGINEERING 2019 Application Form has been available at the official website of Narsee Monjee Institute. 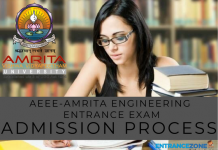 Further, Narsee Monjee Institute conducts the exam for admission to undergraduate engineering courses and MBA courses. This exam is conducted by the Graduate Management Admission Council (GMAC). 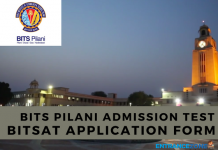 The application form for the same will be available tentatively in the month of March 2019. Candidates can apply through online registration only. The last date of submission the application form is at beginning of month May 2019. These dates are tentative and can vary. Candidates must remain updated about any further changes in dates. 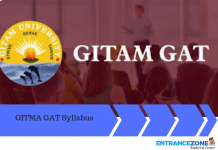 NMAT UG 2019 application procedure is an online mode procedure; there is no option for offline form. Candidates should visit the official website to begin the application process. Link for the same will be provided here. The Application Form will be available on the official website. The aspirants have to fill it with details like name, father’s name, contact number, email id and previous educations. The candidate also has to upload a scanned image of the signature and a photograph. Make sure that they are of required specifications. Once the form is filled candidate should decide the method of submitting the registration fee. The applicants should submit the Registration Fee along with the Application Form. The Fee varies with the type of option candidate chooses for submitting the fee Rs. 1800/- for one school course. Rs. 3000/- for all the courses of two separate schools. Rs. 4000/- for all the courses of three separate schools. Rs. 5000/- for all the courses of four separate schools. Applicants can make payment online via Credit / Debit Card or through Net Banking. After duly filling the application form the candidate should check the details in the form. The details should be authentic as best as per the knowledge of the candidate. Candidate should print out the application form after all the details are complete. This will be useful during the later stages of application. Some of the leading graduate business schools in India use the NMAT by GMAC examination score for offering admissions.